The Euro Weekly News (EWN) has six weekly titles in its portfolio of English-language newspapers in southern Spain. While consistently providing first class coverage of local news and features to hundreds of thousands of readers every week. Euro Weekly News – Originally founded more than 20 years ago it is recognised and firmly established as the most successful, respected and long-standing weekly newspaper in Europe, with six different editions and a circulation of 580,667 copies every month. These are distributed on mainland Spain and the island of Mallorca through more than 4,000 established and reputable distribution points, leading to more than half a million expats and nationals reading copies of EWN every week. The EWN has over many years established a constantly updated database of more than 3,000 businesses that advertise, with companies and individuals taking advantage and benefitting from the newspaper management´s constant belief that The Customer Is King. 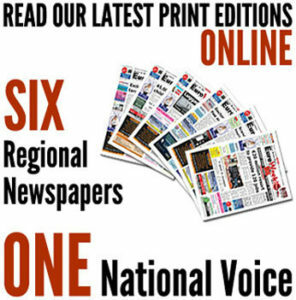 With a head office in Fuengirola on the Costa del Sol in Malaga province, the EWN has grown over the years from a fledgling publication with 10 staff to today’s thriving multi-cultural newspaper employing almost 90 people – the majority bi-lingual – across eight regional offices. EWN is wholly owned and operated by Michel Euesden, the Publisher and Director General, and her husband Steven Euesden who is joint Publisher and Sales Director. “It is our continuing aim to provide each week a respected and accurate EWN with the latest news plus up-to-date features and general information of interest to our wide-ranging cosmopolitan reading public,” says Michel. “At the same time we strive to offer advertisers, including the most discerning global companies, combined as well as individual brand options and opportunities along with extremely competitive rates. Euro Weekly News Media Group, s.a.
l think l saw an article some weeks ago by “David the dog man” on nuisance barking dogs. l have a neighbour here who’s dog barks for hours n hours every day. I have spoken to the owner 3 or 4 times now, but he does nothing. l just wanted to know who it is that l con complain to? …is it the police or council and do l have any rights to peace and quite ?